Try to live following the advice of the opening quotes: Today renews your lease on the rest of your life, enjoy it (get up, get out, get going). Today acknowledge your Parkinson’s; give it a nudge, because you are ready for the battle and for life. Fit/fitness-Exercise as much as your body can take, then do some more. 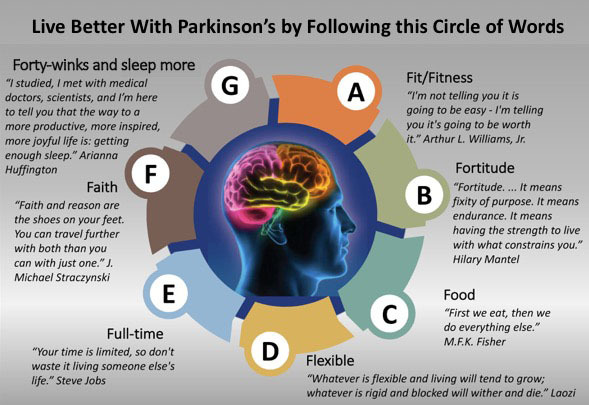 Getting/staying fit really matters in your battle with Parkinson’s. Fortitude- Stay strong in your effort with your adversity. 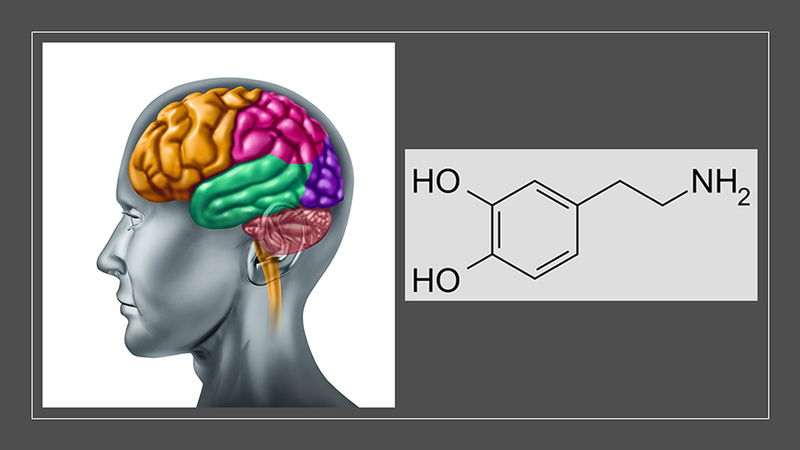 Food- Feed your brain properly, fuel your body well; it will make a difference. Flexible (two definitions)-Stay flexible by frequent (I mean really often) stretching; you’ve got a life-altering disorder, stay flexible and let your life follow what happens because it’ll be okay. Faith (multiple definitions)– Believe in your ability to successfully navigate your life; trust in your loved ones to support your journey; believe that a higher entity truly loves you and acknowledges your strength and passion for life. Forty-winks and sleep some more- The brain is like a sponge that fills up all day with fluid; sleep allows the brain to drain, to renew, to fire-up strong upon waking; sleep is a very good thing. I feel your stiffness; I know it well. I sense your troubled thoughts; my mind also has questions. I notice your tremor; mine can act up too. I perceive your frustation; life with Parkinson’s can be problematic. I see your shuffle; my right leg drags when I’m tired. I admire your strength; I’ve got it too. I acknowledge your life-accomplishments; we are still the same person as before Parkinson’s. I see your honor; our work our living makes a difference. I see your smile; those around us still care for us, no matter what. I feel your effort; like you, I’ll never give up. Joe, thanks For your note. I’m starting to slowly respond to some of the emails starting with you. I’m going to read about your strategy and your supplements, I’m a protein biochemist came out so I should be able to figure out what you’re doing and why. I’m going to write about it I think it makes sense.